Backcountry fishing in alpine lakes near Big Sky is a truly unique experience. Grabbing your gear and hoofing it down the trail deep into the wild mountains that surround Big Sky is an adventure that everyone will enjoy. Picture having a pristine, crystal clear alpine lake all to yourself. It's just you and Mother Nature. Cutthroats, grayling, and rainbows are rising to the surface regularly leaving ripples along the perfect, glass like surface. The towering peaks and stunning alpine cirques make for a setting straight out of National Geographic. Before you drop your line in the water you have to pinch yourself to remember that this is real. This is Big Sky Country. 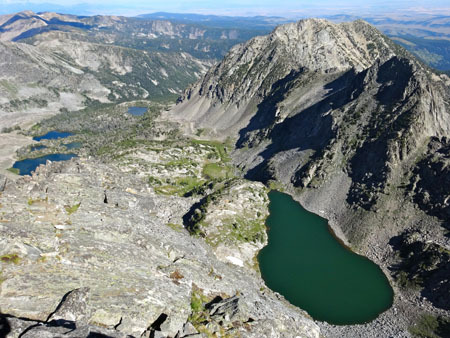 Grab a map of the Big Sky area - Beartooth Publishing makes a great one or check out Joshua Bergan's Flyfisher's Guide to Southwest Montana's Mountain Lakes guidebook.. As you scan the map you'll notice countless lakes dotting the mountain landscape. There are countless named and unnamed lakes in Big Sky's backyard. Some of them have fish and others don't. How do you even know where to begin? 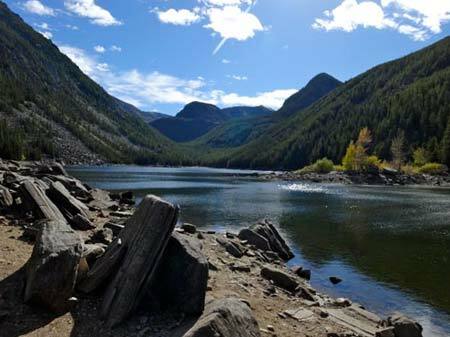 Did you know that a good number of the alpine lakes in Big Sky country are actually stocked by the government? Find detailed information from the Montana Fish, Wildlife, & Parks about fishing in alpine lakes near Big Sky. Their detailed and interactive Montana Fishing Guide provides info on fishing and boating regulations, stocking info, fishing pressure, and an interactive map. As you begin to explore Big Sky's backyard, you'll notice that other lakes not listed on this map also contain fish. Don't think this is a complete list of alpine lakes with fish, instead consider it a starting point for your backcountry fishing adventures. Everyone needs to try backcountry fishing in alpine lakes near Big Sky a try. Try it as a day hike or make it into a backpacking trip. 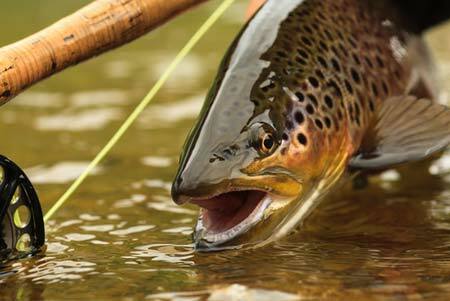 This outdoor adventure is well worth the effort - and every real fisherman needs to experience it. Remember that all fishing activities require a Montana or Yellowstone National Park fishing license.